I have a pretty simple project to share with you today. 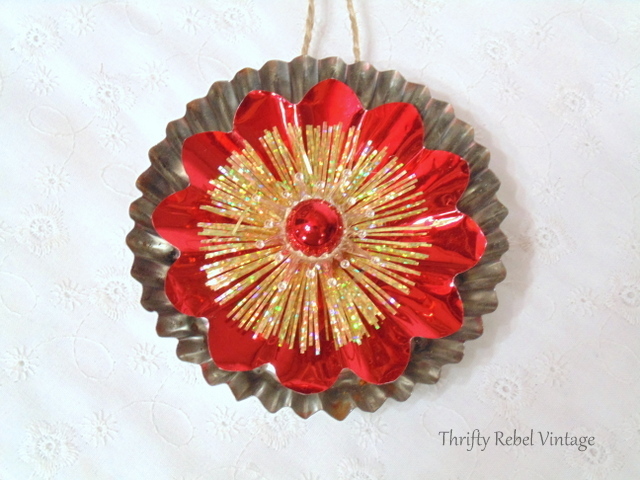 Tart tin ornaments are very easy to make, and they can be personalized for any Christmas tree colour scheme or theme. For my tart tin ornaments all I needed was a few thrifted items from my stashes… tart tins and some vintage foil and plastic light reflectors. I have a love for jute twine and always have some on hand. The first thing to do is drill some holes into the side of the tart tins for the jute twine to go through. I don’t like to make my holes too big, so I usually twist some tape around the ends of the jute twine so it’s easier to pull through. Here it is all ready to be decorated. With my handy dandy glue gun I added a red foil light reflector in the centre. I put a plastic reflector with a lovely gold fringe on top. Then I finished it off with a small vintage glass ball ornament. And here’s the matching set of three for my family room tree. 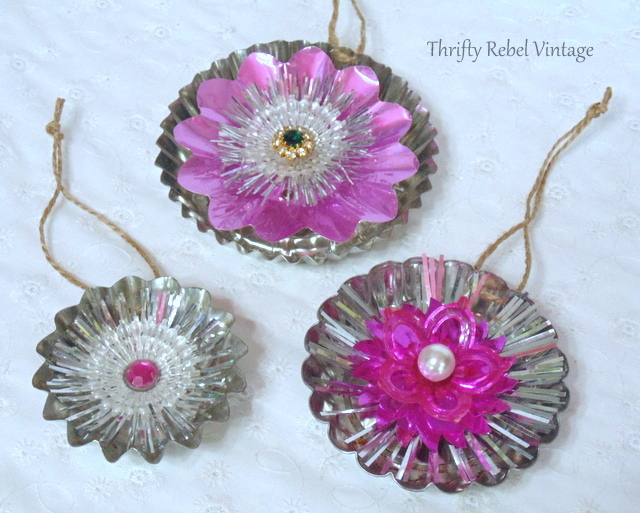 A few years ago I made some jello mold ornaments using vintage light reflectors. And because I’m doing something different in its chicken wire frame for Christmas I took these pink ones off of my Repurposed Tealight Tree Flower Art project. I simply drilled some holes in them like the set above. They’ll look nice on my vintage themed living room tree. When the Christmas season is over I’ll simply remove the jute twine and put my flower art piece back together. No worries. I love to make things that can be easily taken apart and put back together. 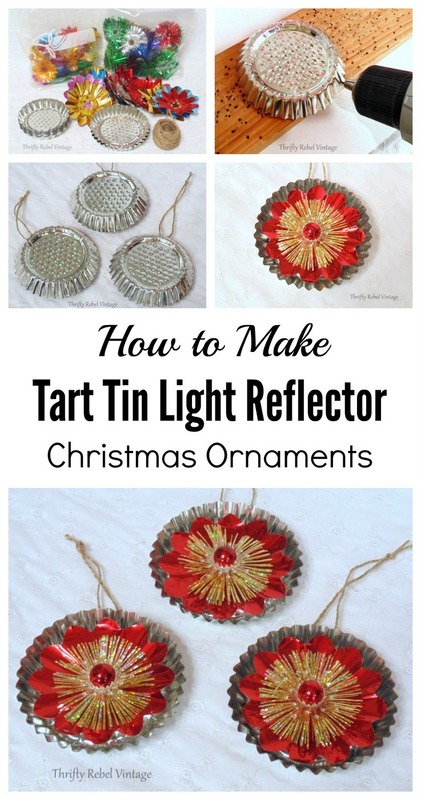 These tart tin ornaments are pretty simple to make, and the decorative possibilities are really endless. Thanks Dona! If I kicked myself for everything I’ve gotten rid of and then had a purpose for I’d be black and blue. lol. I’m really hoping to get some good pics of the living room tree. The room faces north and west so I need a nice bright day. Fingers crossed. Oh, how pretty. They will look so pretty hanging on the tree with the lights reflecting off them. Tuula, these are so pretty and such a clever idea! I love all things vintage and these are beautiful! I love all of the color combinations you did too. Those look like they could be little decorated tarts! I bet the reflection of lights is stunning. Thanks Debbie! I can’t wait to get them on the tree. Very sweet! They remind me of candy and look good enough to eat! Wherever do you find the reflectors? Thanks AnnMarie! I wouldn’t take a bite out of them though. lol. 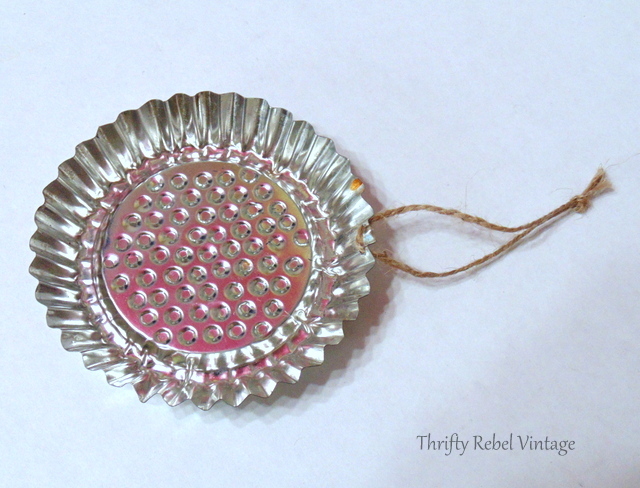 I find the reflectors at summer garage sales mostly, but I do occasionally see them at thrift stores. They’re usually pretty cheap. I have quite the collection. I just found two sets in their original boxes. Not too old though, probably from the 80s. Tuula these are so cute. 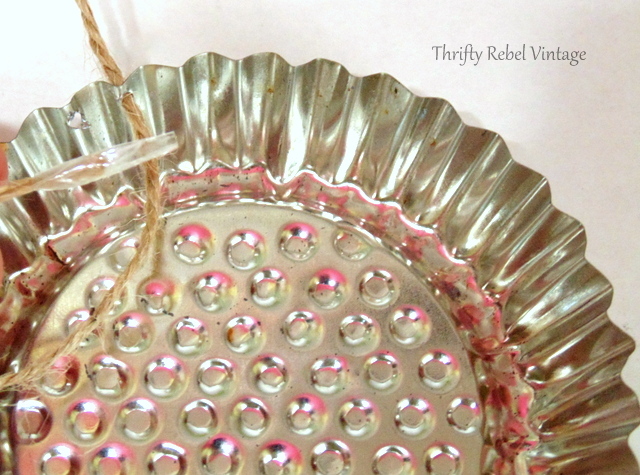 The vintage reflectors are perfect for the tart tins. Thanks Sharon! 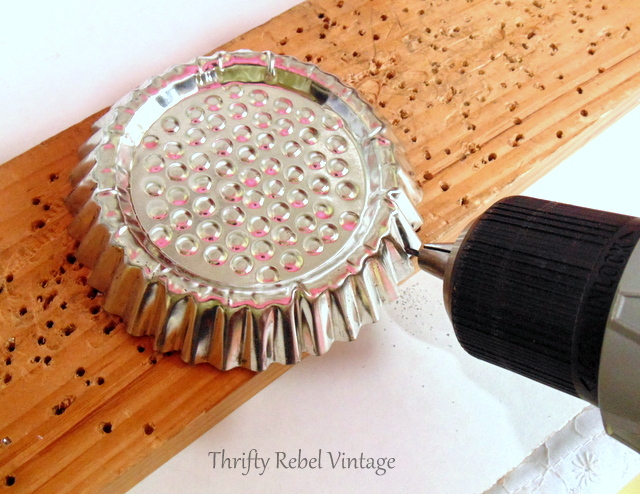 The vintage reflectors bring back such memories, and are fun to craft with. Tuula, I love them…so festive and pretty! Like the red better than the purple. Where do you get the reflectors? Are they still available, or did you make those too? Thanks Florence! I find the vintage eflectors at yard sales and thrift stores and I put various ones together to put into the tart tins. There are so many different kinds of reflectors that it’s easy to mix and match. I have a large stash of them that I’ve thrifted over the years. I’m not sure if the reflectors are still sold in regular department stores, but I’ve never seen them here. Thanks Kathleen! 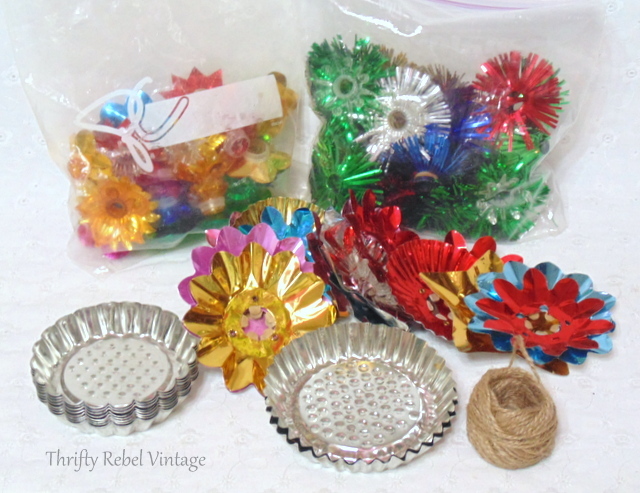 I have quite the collection of both tart tins and vintage reflectors. They’re so much fun to play with. Great idea ! So vintage! I love the look of this. It brings such charm to the Christmas decorating. Thanks Debra! It’s so much fun to repurpose things into ornaments. These are adorable!! Thanks so muchf or stopping by!! Thanks very much Diana! I do love repurposing things into ornaments. It’s such fun! 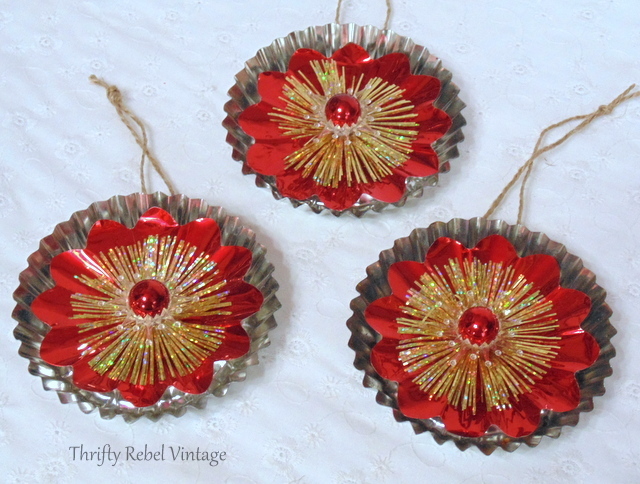 Tuula, love your Christmas tart tin ornaments! Very fun way to repurpose them! Thanks Keri! They were really fun to make.